CONGRATULATIONS, you have decided to purchase a home. You have found the Professional Certified Home Inspector you need to inspect your home. A Home Inspection is something some people take for granted. You need a Home Inspector who will give not only a report of all deficiencies within the home but some extra general knowledge of how a home works. I carry full error and omissions insurance and general liability. I will inspect your home thoroughly with the utmost respect and knowledge I have and upon completion I will honour you with a full report written or electronic report whatever suits your needs. Make Your Best Investment Worry Free! 705-434-8631 Open Till 10 p.m. I am A Professional Certified Home Inspector who is trained to perform a more than visual, unbiased Home Inspection. I will poke and prod at all wood to check decay, rot and insects. I the Home Inspector will assess the home from roof to foundation to identify safety issues and describe the current conditions of the home at the time of the Home Inspection. I the Home Inspector will walk you step-by-step through significant findings. When I the Home Inspector have completed the Home Inspection I will give you a full report of the Home Inspection. The best way to protect yourself is to know and understand the condition of the home you are buying. I will evaluate and provide you with a report on the exterior and interior components of the home. 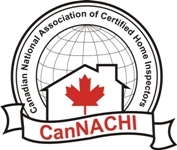 It also lists the CaNachi standards of practice that a Home Inspector must adhere to and what you should expect from a Home Inspection. 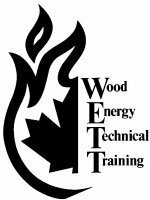 Home inspectors are actually required to use only a few types of equipment. In theory, a Home Inspector could perform a Home Inspection that complies with the CaNACHI Standards of Practice using only two pieces of equipment: a ladder and an electrical tester capable of testing ground-fault circuit interrupter (GFCI) devices. However, there is equipment I as A Professional Certified Home Inspector need in order to perform a Complete Home Inspection. Here are some types of Home Inspection Tools I use because they make my Home Inspection process easier and faster for me the Home Inspector. A flash light is one of the most needed Home Inspector tools needed to complete a Professional Certified Home Inspection. I as A Home Inspector will use ladders to inspect the roof and coverings with out putting myself at risk of injury. I as A Home Inspector will climb into the attic space where I can inspect the roof decking and rafters and inspect for moisture and any roof penetrations. I will also inspect the insulation and vapour barrier as it exists. I as A Home Inspector use a variety of electrical testers. I as A Home Inspector wear a respirator when I enter areas such as the attic space or crawl space. I as A Home Inspector wear safety glasses when working around exposed electrical components are other common safety items. I as A Home Inspector use a moisture meter where I feel a need to check the moisture levels or suspicious stains. I as A Home Inspector have inspection cameras to check areas where I see may have moisture issues where I can not reach to. There are many Home Inspector tools that can make or break a Home Inspection and I have all the Home Inspection tools to do a Complete Professional Certified Home Inspection.